As Mumbai’s suburban rail network grows in terms of passenger carrying capacity, new linkages aim to enhance economic development and job creation potential as also providing daily commute options to new residential hubs. The Mumbai Urban Transport Project-3 (MUTP-3), which aims at enhancing connectivity through the suburban railway network in the Mumbai Metropolitan Region (MMR), will have a positive impact on not just the lines it connects; it also will provide connectivity for a new residential hub. This in turn, will provide the human resource to power not only existing CBDs, but also emerging CBDs like Panvel. MUTP -3 was planned with the object to improve suburban railway connectivity between existing suburban railway corridors in the MMR. The Indian Government had indicated its ‘green signal’ for the project three years ago; groundwork on this will begin with the process of land acquisition being initiated by the railway authorities along with the state government from end-January 2019. The paperwork has been completed, and three years after the Indian Government’s green signal, groundwork for MUTP 3 is finally moving ahead; this is a positive step, said Dr. Niranjan Hiranandani. The ₹10,948-crore project covers three sectors: Virar – Dahanu; Airoli – Kalwa and Panvel - Karjat. The advantage of the Karjat -Panvel section goes beyond just a shorter rail linkage between Mumbai and Pune. It will create a huge suburban section which will support new residential hubs. These will provide the residences for human resources working not just in Mumbai’s CBDs, but also the new, emerging business hub of Panvel. The MMR has experienced rapid urbanization during the past few decades. The suburban rail network remains the most cost effective mode of daily commute. Job opportunities are now spread across different locations - in form of new secondary CBDs, which have come up. As a result, work-related transport i.e. the daily commute is shifting patterns. Going into the future, there will be need for enhanced transport linkages across existing suburban lines, this is where MUTP 3’s Karjat -Panvel line will play a major role. After the completion of the project, passengers will be able to take suburban local trains between Panvel and Karjat railway stations without having to take a long detour as also change trains at Thane station. Presently, commuters have to switch from the Central Railway’s (CR) mainline to the Thane-Vashi trans-harbour line. The development of Panvel into a global commercial hub, given the impact of Mumbai Trans Harbour Link as also the Navi Mumbai International Airport, will dove-tail perfectly with residential real estate hubs developing along the Panvel -Karjat suburban section. Terming the Panvel - Karjat suburban rail corridor as ‘important’ for balanced growth and economic development across the Mumbai Metropolitan Region, Dr. Niranjan Hiranandani said this will link Panvel and Karjat, the two end stations of Main and Harbour Lines on the Central Railway. “It links present-day demand for residential options with what the future will require. It will ensure homes for human resources, who will power the economic powerhouses located within Mumbai and the MMR,” he concluded. 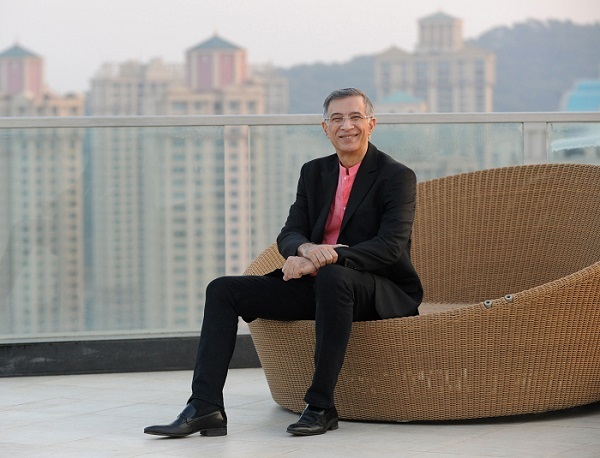 Dr. Niranjan Hiranandani is Co-Founder and MD, Hiranandani Group. His newest venture is Hiranandani Communities. He is President (Nation), National Real Estate Development Council (NAREDCO), which works under the aegis of Ministry of Housing & Urban Affairs, Government of India.